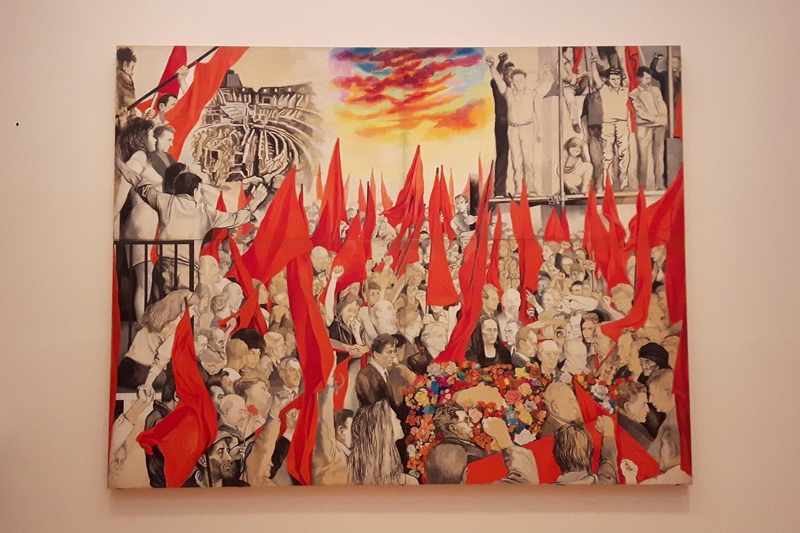 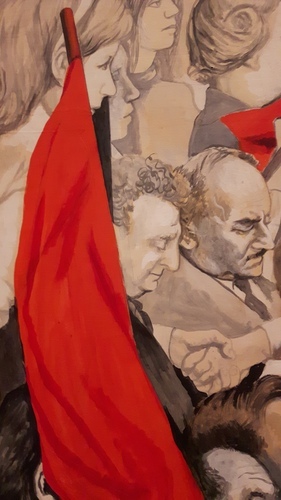 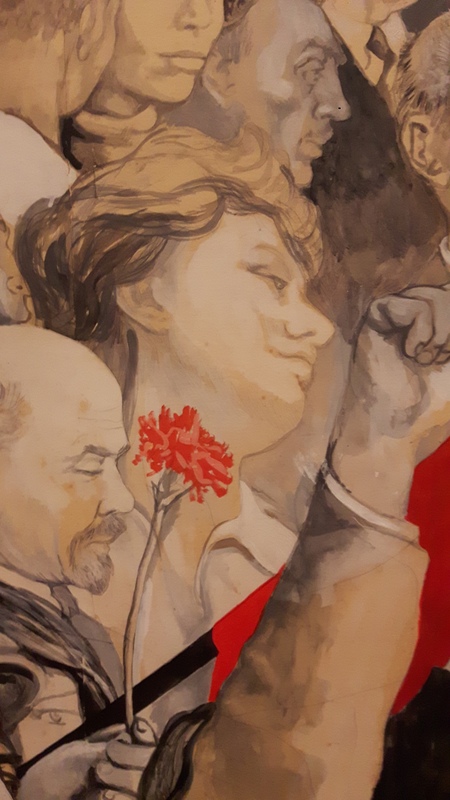 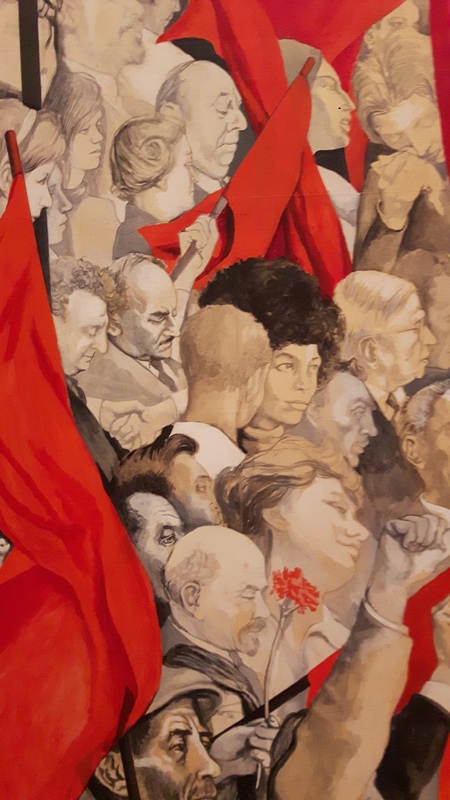 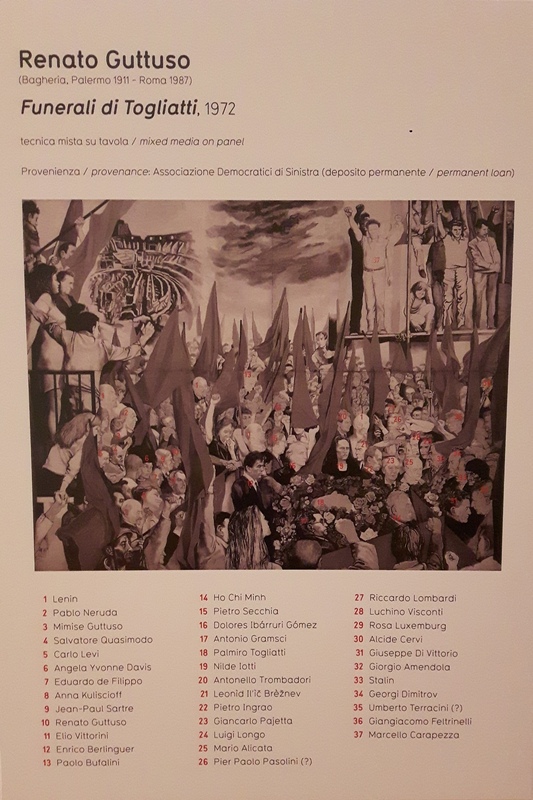 In this mixed-media-on-panel painting by Renato Guttuso, called "Funerali di Togliatti" (the funerals of Italian Communist Party leader, Palmiro Togliatti), at least two renowned physicians are represented among the many faces carefully sketched by the artist. They are Carlo Levi and Anna Kuliscioff: they both are visible on the left side of the painting (numbers 5 and 8 of the explanatory panel). 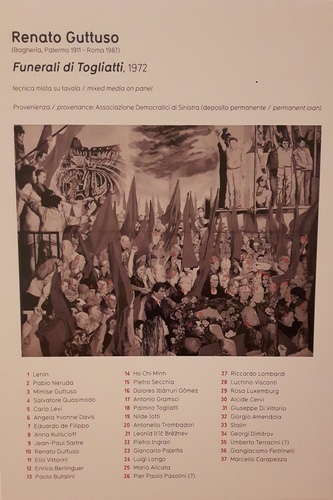 The painting is on permanent display in the Museum of Modern Art (MAMBo) in Bologna (Via Don Minzoni, 14).